I read this article and found it very interesting, thought it might be something for you. 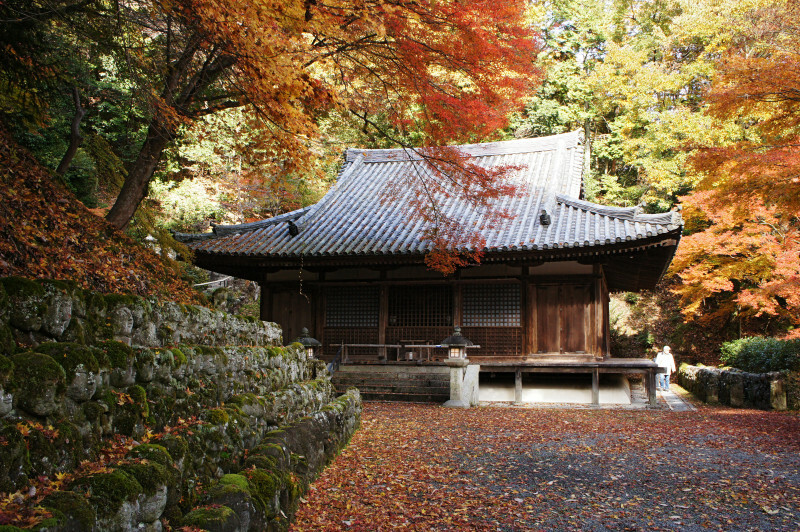 The article is called 25 Temples You Must Visit in Kyoto and is located at http://trip-n-travel.com/listicle/4425/. 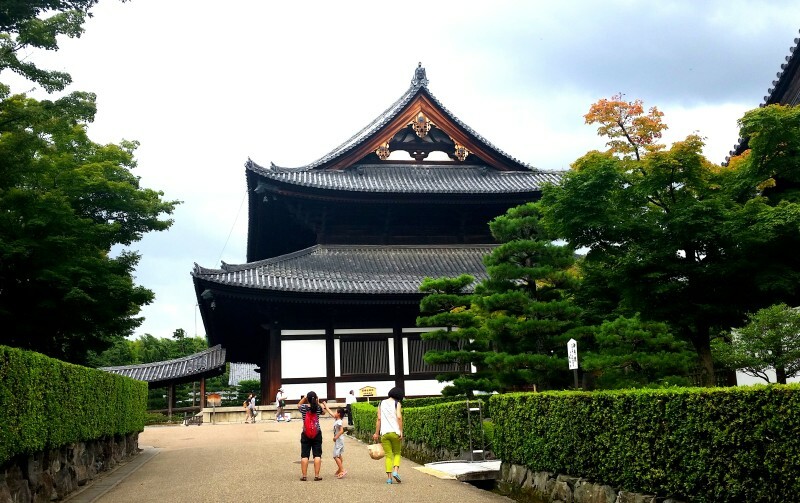 Kyoto is well known for its thousands of beautiful temples. Interesting architectures, inspiring gardens, a serene atmosphere, all these will transport you to a whole other world. But with so many temples to choose from, it’s hard to know what to begin with and which ones to visit. 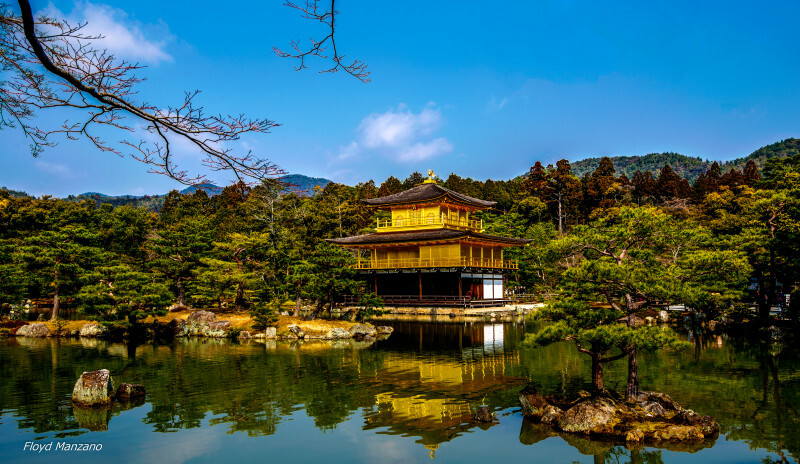 This is why we’ve comprised the ultimate list of 25 temples in Kyoto you must visit! A small hidden temple, Honenin is located deep in the forest, surrounded by peacefulness. The entrance almost makes it look like a mountain hut and adds to the mystical feeling. When the trees turn colorful in autumn, the image is even more astonishing. Some interesting features are the sand mounds that replace the usual wash basins that most temple have. Every few days a monk outlines a different pattern in the sand representing trees leaves, flowers or the ocean waves. 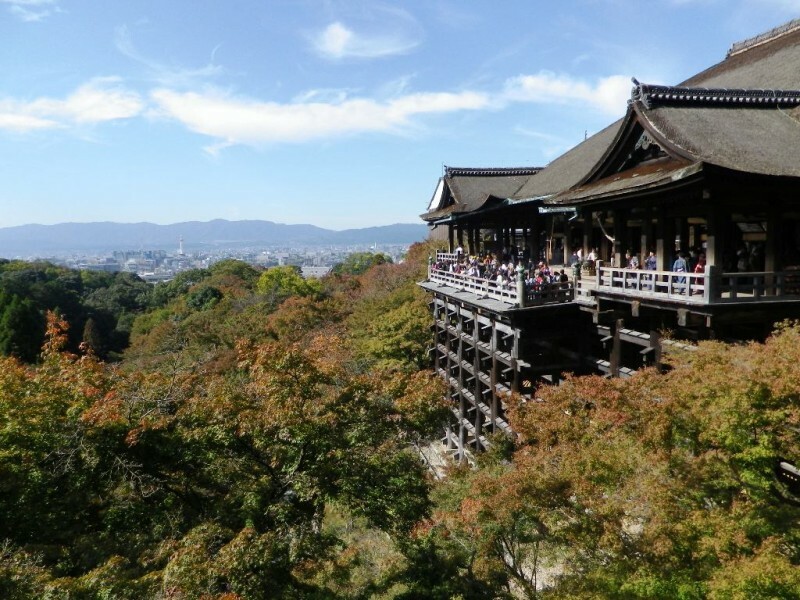 Kiyomizudera is one of the most famous and visited temples in Kyoto. Its name means “pure water temple”, coming from the small waterfall that flows on its grounds. 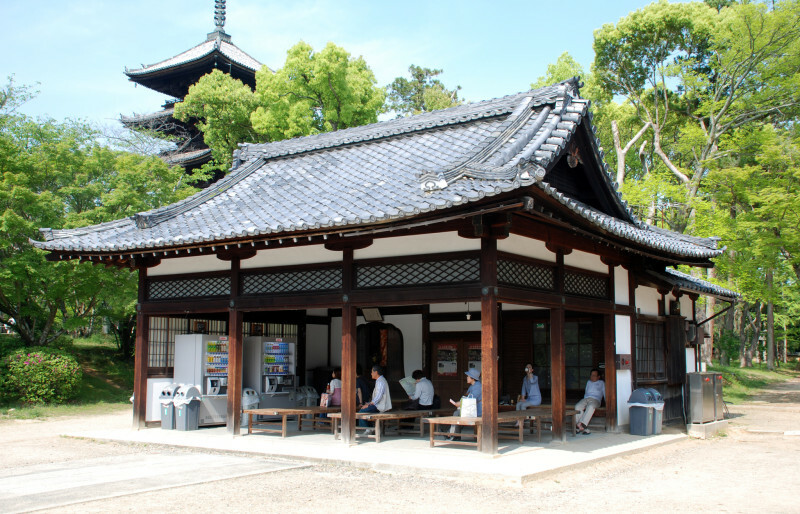 Its most interesting building is represented by the main hall’s veranda which is supported by long pillars. Located on the side of a mountain, it has offers nice views of the city. In the Edo period, a legend said that if someone jumped from the veranda and survive, a wish would be granted. More than 200 people tried until the practice was forbidden. 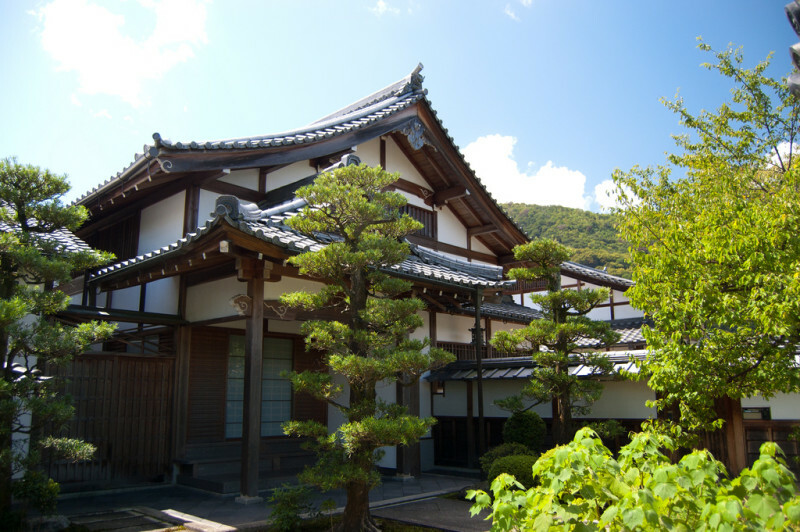 Eikando was originally a nobleman’s villa. After being donated to a priest, it was transformed into the temple that is today. 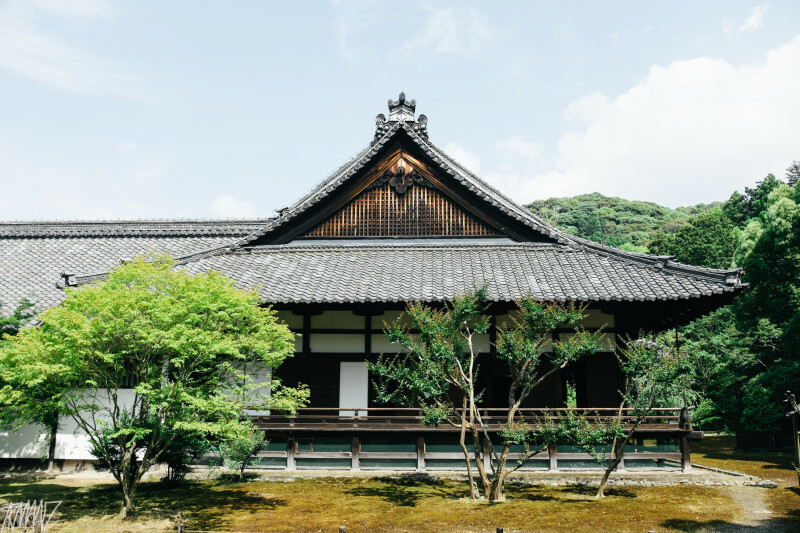 Located in the forests of Higashiyama Mountains, the temple’s several buildings are scattered at different altitudes, making the walk between them even more interesting. 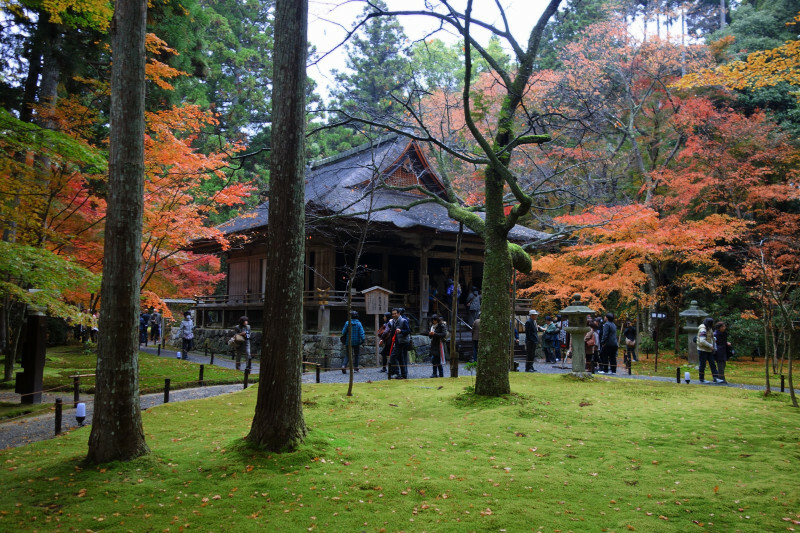 Autumn brings many tourists as the temple is a popular spot for seeing colored trees. There is also an illumination event held every evening during the second half of November. 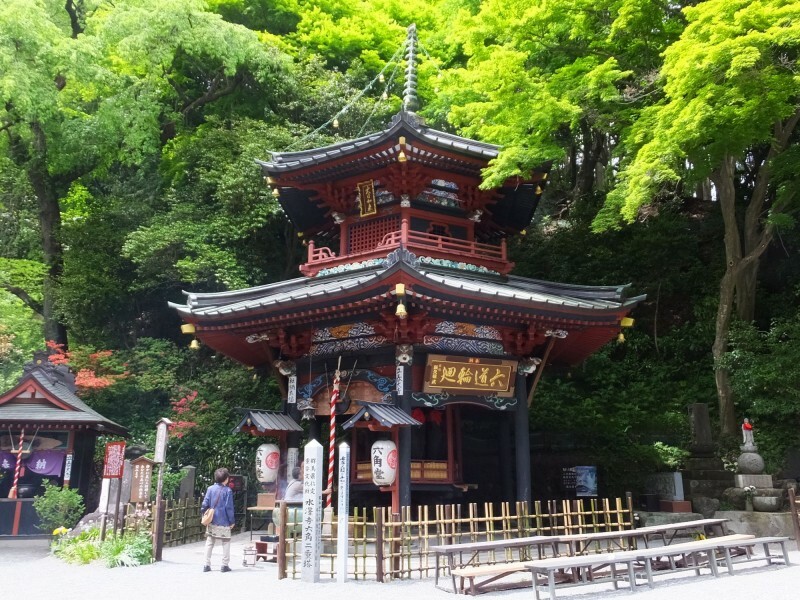 Consisting of numerous smaller temples, Nanzenji is located in hilly area, surrounded by forests. 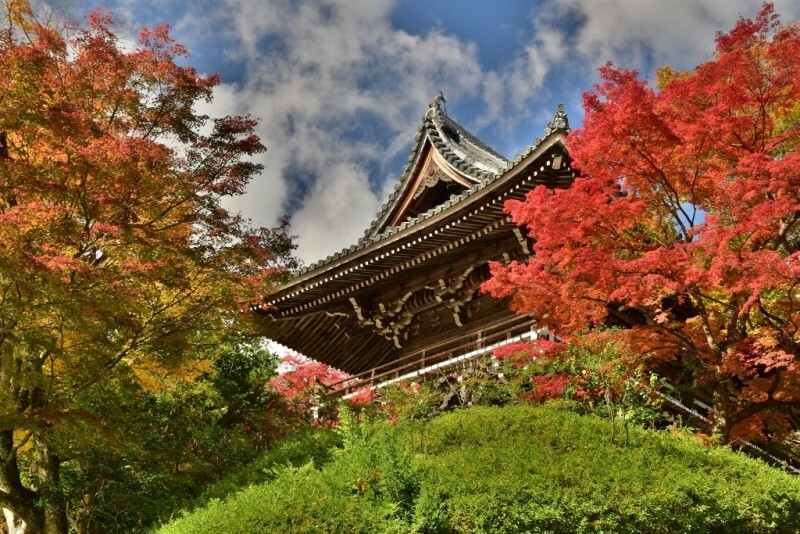 The temple is recognized as a National Historic Site and its beautiful garden is considered by the Japanese government a “Place of Scenic Beauty”. The garden is a fine example of karesansui landscape, a type of landscape made from rocks, moss and carefully shaped trees and bushes which uses sand to represent various images, like water ripples for example. 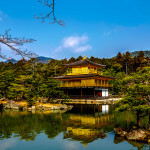 Kinkakuji or the “Golden Pavilion” is one of the most famous landmarks of Kyoto. Its name was given because the temple is completely covered in gold leaf. Even though it burned down several times thorough the centuries, it was always restored to its original state. Surrounded by a large pond and forests, this temple creates quite an image, especially when glowing in the sun. You can enjoy another impressive image in winter, when this temple’s color contrasts with the white snow. Shorenin is a small temple located in the Higashiyama Mountains. Because it was originally built to serve as a residence house, its appearance is different than usual temples, looking more like a mansion. It has a beautiful garden with a tea house where you can experience occasional tea ceremonies and also a peaceful bamboo grove. The temple is not usually crowded, this making it the perfect destination for those who want to see the quieter side of Kyoto. Chionin is an interesting temple that holds a few records. First of all, it has the biggest temple bell in Japan. Weighing 74 tons and with more than 5 meters in height, the bell has beautiful decorations and is hardly moved by 17 monks on New Year’s night. 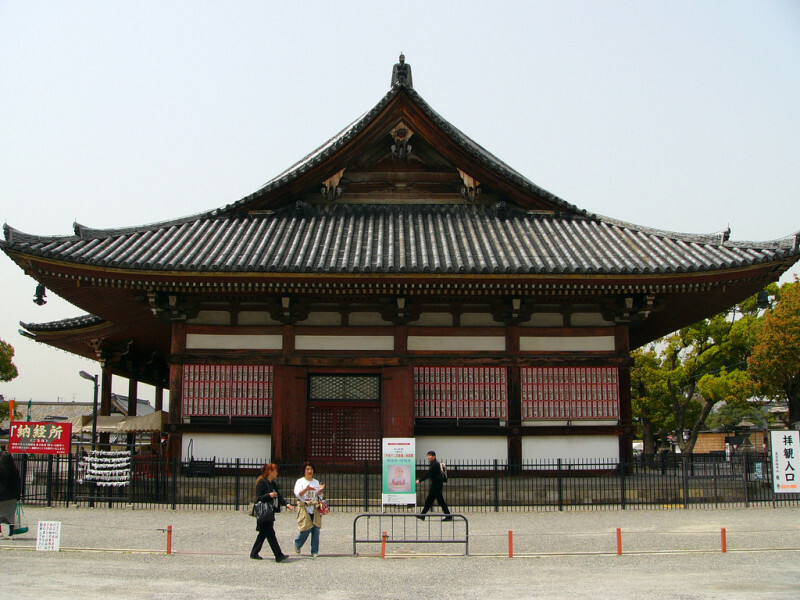 The temple also has the biggest gate in the country, the 24 meters high Sanmon Gate. Another notable aspect on Chionin is that its floors are similar to the famous nightingale ones in Nijo Castle. 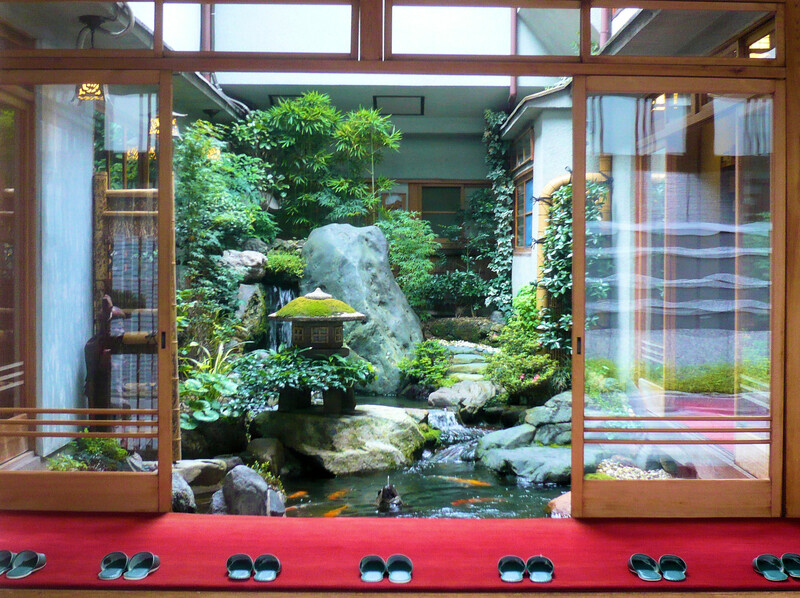 Called “uguisubari”, these floors creak when someone steps on then and the sound is similar to a nightingale. This technique was used to prevent people from sneaking in. 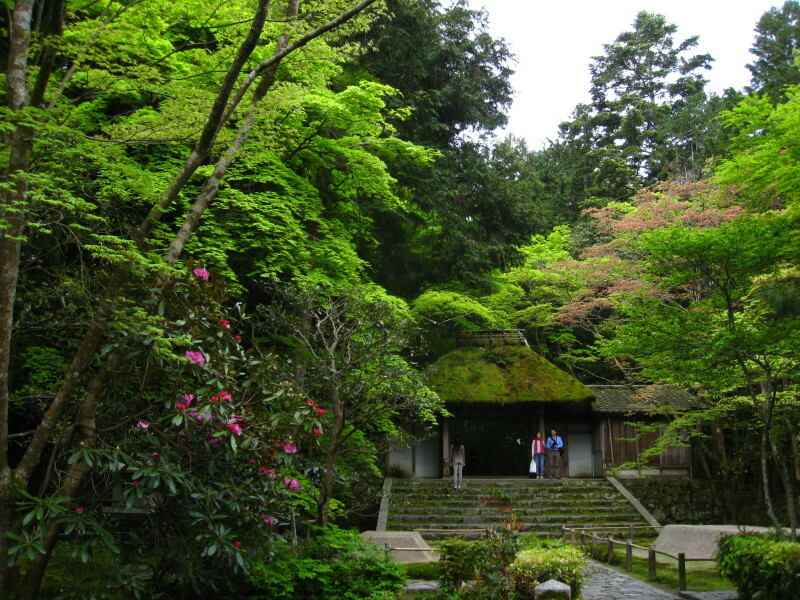 Ryoanji, which means “peaceful dragon temple” is a Zen temple best known for its impressive garden. The garden doesn’t boast showy landscapes. It has simple arrangements made from raked gravel and rocks. But is this simplicity that creates the harmony and makes you feel peaceful inside. There is also a large pond where you can see flowering lotus flowers. The temple and its grounds are recognized as a World Heritage Site. 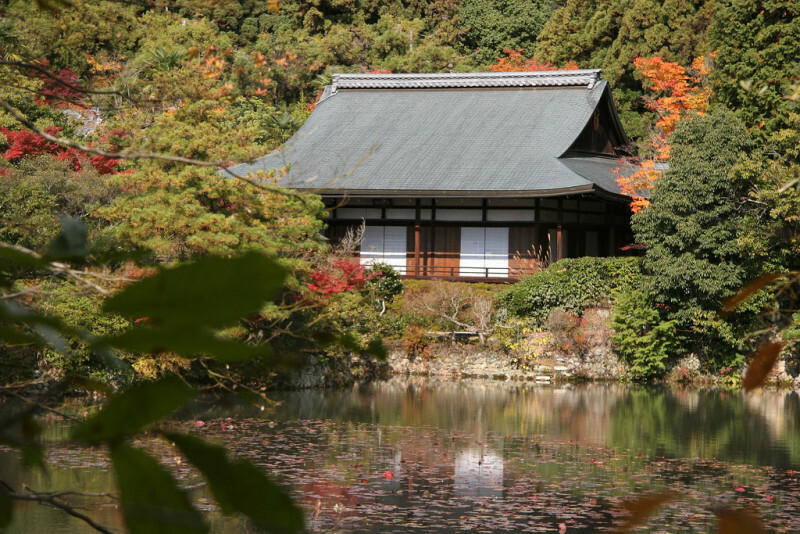 Originally built as the retirement villa of the shogn, Ginkakuji, the “Silver Pavilion” was built with Kinkakuji as a model. But unlike its model, the temple is not covered in silver. This name was chosen because of the temple’s beautiful silver reflection in the pond next to it. 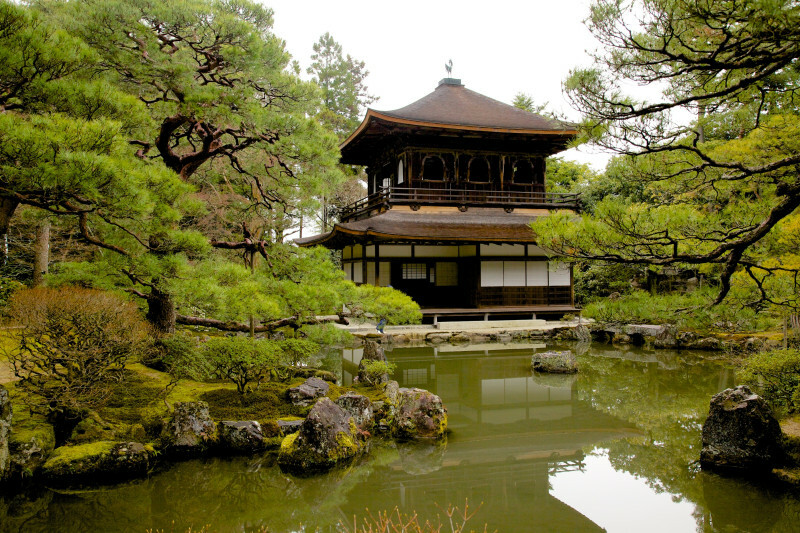 The temple’s grounds consist of several buildings, and two gardens: a moss one and a dry sand one. The entire complex can be seen from a small hill next to the temple, which also offers nice views of the city. Myoshinji is a temple complex consisting of over 40 smaller temples and several gardens which are recognized as “Places of Scenic Beauty” by the Japanese government. The gardens boast several seasonal flowers, including lotuses. The temple’s bell is the oldest of its kind existing in Japan and also the oldest bell in the world that is still being used. 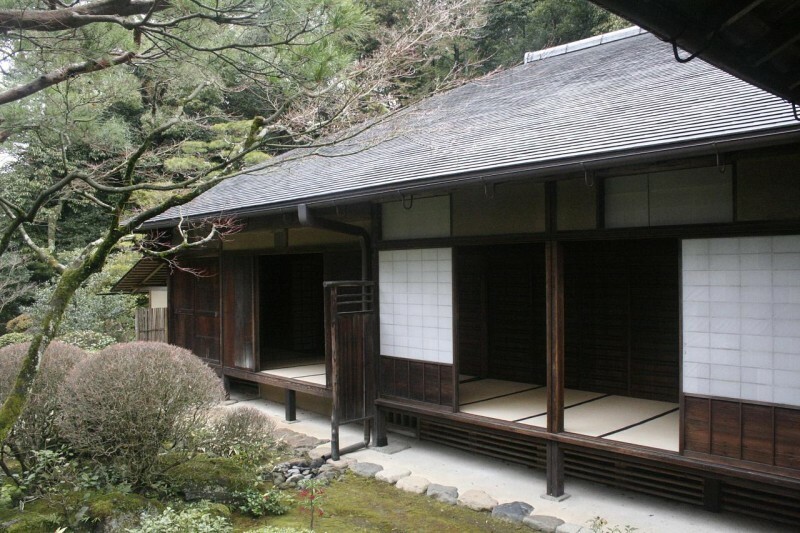 At some of the sub temples you can experience tea ceremonies and learn calligraphy. The autumn colors at the temple are also worth mentioning. Tofukuji is a large Zen temple in the southeast of Kyoto. Its grounds contain a few buildings that date from the 14th century and a few gardens made from trees, moss, rocks and pebbles. The gardens are carefully raked and have various patterns drawn within. Tofukuji is very famous for its autumn colors, becoming a popular destination from October onwards. The views are especially spectacular around Tsutenkyo, a scenic bright red bridge that goes over a small river. 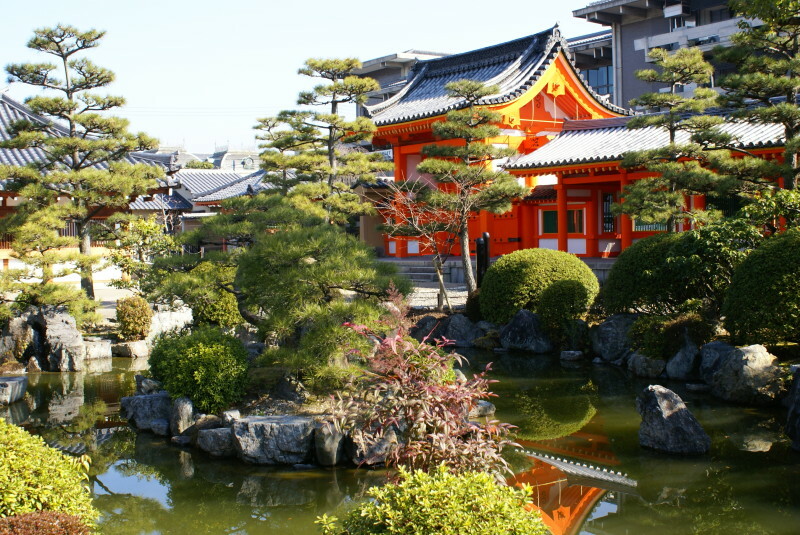 Rokkakudo is a Buddhist temple located in the heart of Kyoto. Its name, which translated as “the six corners temple” was given because the hexagonal shape of the main hall. 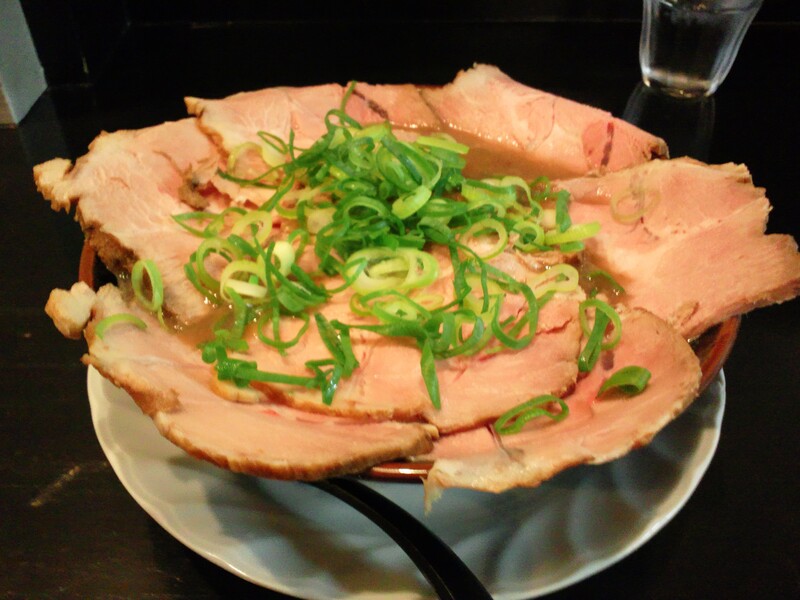 Rokkakudo is famous as the place where the tradition of ikeabana flower arrangements started. Even if it’s an urban temple, there are interesting thingss to see, like a special stone named “bellybutton rock”. The stone receive such a nickname because it is said to be located exactly in the centre of Kyoto, therefore it’s the “bellybutton” of the city. 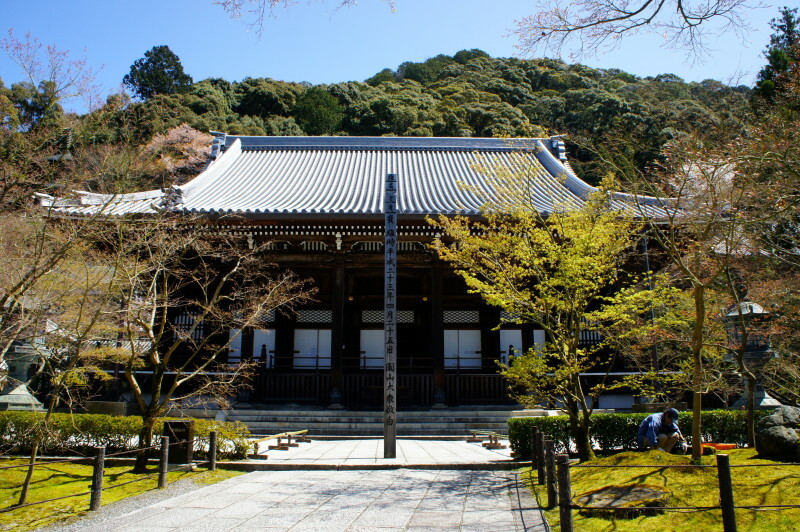 Daigoji is a very old temple complex with its more than 80 buildings scattered over the slopes of Mount Daigo. Established in the 9th century, its grounds contain the oldest building in the city, the five storey pagoda, which dates from year 951. The temple holds many important artifacts and cultural assets and was designated as an UNESCO World Heritage Ste. 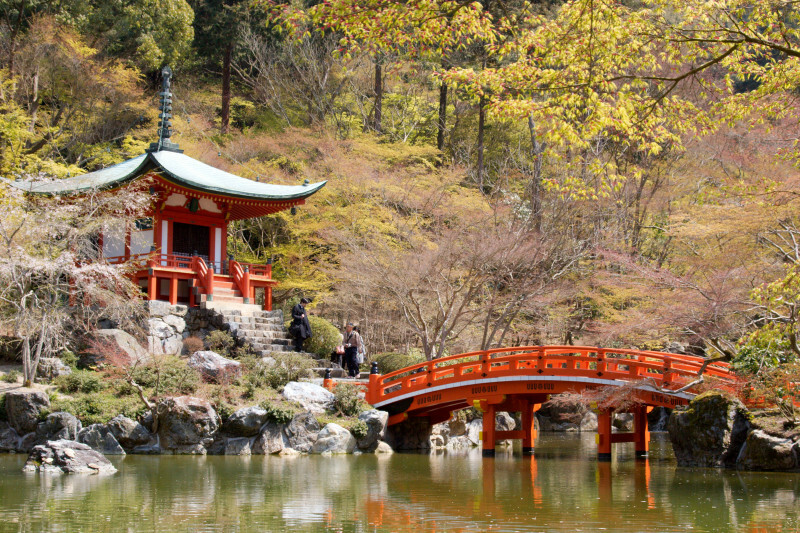 One of its buildings named Bentendo Hall combined with a red bridge that goes over the temple’s pond create an extremely picturesque image. Sanjusangendo is a temple that is famous for several reasons. First of all, it houses 1001 Kannon statues with a 6 foot tall Kannon statue in their middle. 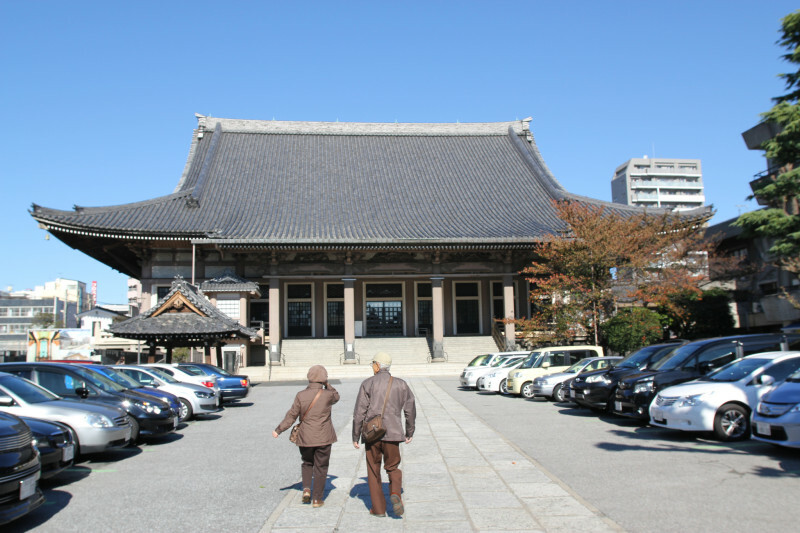 The temple hall is also the longest wooden building in Japan, with 120m in length. The temple’s name was given because “sanjusan” means 33, referring to Kannon that can transform into 33 different appearances. Sanjusangendo is also well known for an archery contest held every year in January. 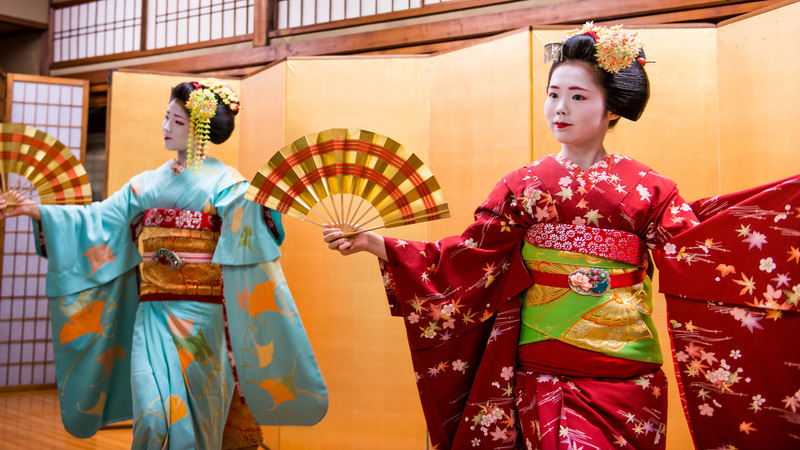 The event has its origins in the Edo period and is still practiced today. 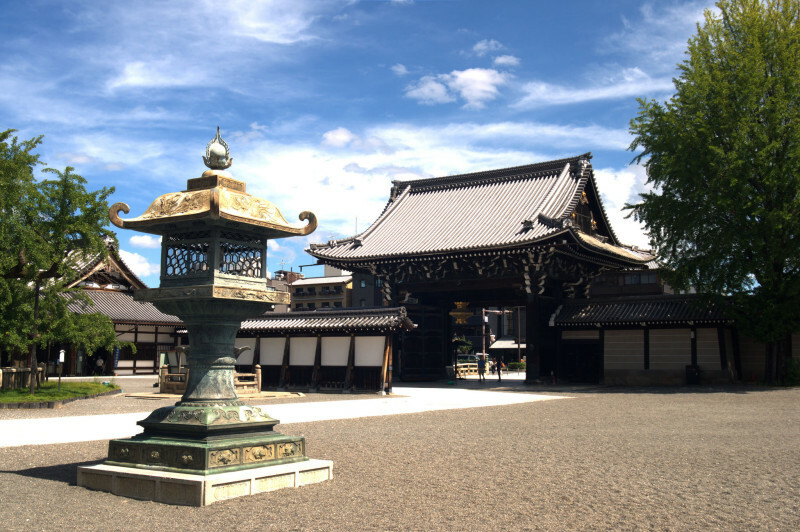 Toji Temple dates from the 8th century and is the only surviving temple in Japan from its time. The temple grounds contain a 54 meters tall pagoda that is the oldest wooden pagoda in the country. 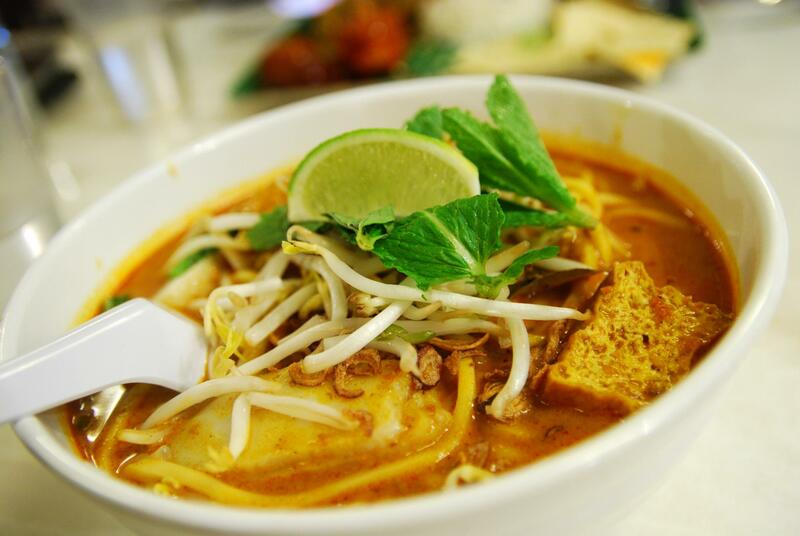 A popular flea market is held every month at the temple that is said to be one of the best such markets in the city. A variety of items are being sold: art, clothes, pottery, decorations, both new and old. Visitors can also enjoy a big pond with carp fishes, turtles and lotus flowers. Ninnaji is a temple founded in 888, located in western Kyoto. It is recognized as an UESCO World Heritage Ste. Its original buildings were unfortunately destroyed during wars, the current ones dating from the 17th century. After the reconstruction, many Omurozakura cherry trees were planted. The Omoruzakura species is known to bloom later than usual cherry trees, this making the temple very popular among tourists who can still enjoy cherry blossoms at a later time in the year. Sanzenin was built in 985 and is located in the outskirts of Kyoto, in a rural town named Ohara. Its most impressive feature is the garden, where moss dominates the landscape. There are also many trees, shrubs, bushes and a variety of flowers, all these making the garden look like a small paradise. Even the temple’s statues and lanterns are covered by a thin layer of moss, giving the place a special antique atmosphere. The autumn colors and cherry blossoms are also worth mentioning. 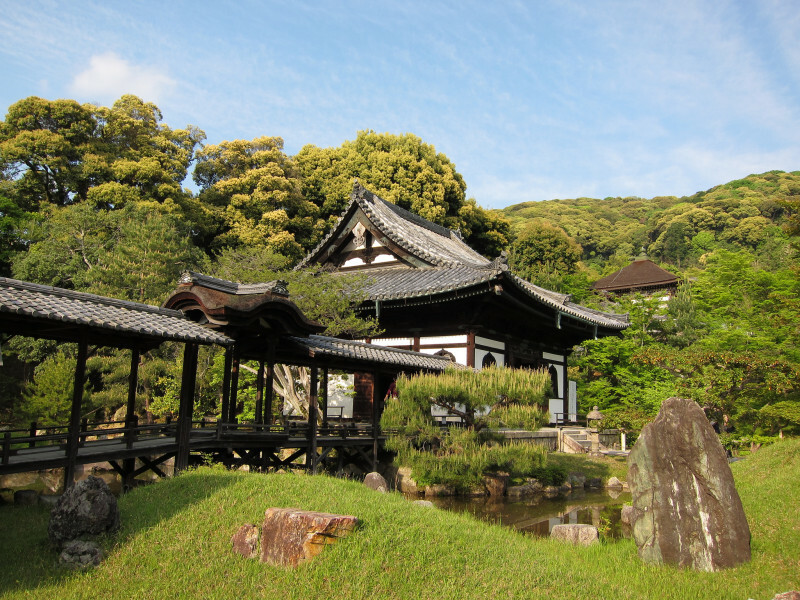 Daitokuji is a massive Zen Buddhism complex consisting of 24 smaller temples. Only 8 of them are open to the public, but this shouldn’t keep you from visiting! There are various wonderful gardens where you can see different types of landscapes, each having its own specific. Another interesting point is the Chokushimon Gate, which was originally a gate from the Imperial Palace. Numerous cultural treasures are stored within the temple’s walls, like paintings, hanging rolls and tea houses. Gioji is a small temple located in the Arashiyama distrct. Despite its reduced size, it is considered a place of great beauty because of its amazing garden. The main hall is located surrounded by luxuriant trees and the ground is almost completely covered by moss. The garden is especially beautiful in autumn, when the colorful trees contrast with the green moss. Many people ignore Gioji because of it’s a small temple, therefore the place is not very crowded, abounding in peacefulness and serenity. Yoshiminedera is the 20th temple in the Kansai Kannon Pilgrimage, which is a pilgrimage of 33 Buddhist temples located in the Kansai region. The baths at the temple are said to benefit to neuralgia suffers, which made people give the place a funny nickname “neuralgia temple”. The temple is located on a hill and the whole city of can be seen from the top. The location also becomes a popular attraction every year during April and October because of its cherry blossom trees and beautiful autumn colors. Located in the scenic district of Arashiyama with the mountain as its background, Tenryuji is said to have the most beautiful Zen garden in Kyoto. The hills of Arashiyama look like they are part of the garden, their reflection in the temple’s pond being almost magical. The view from the Tenryuji is regarded as a Special Place of Scenic Beauty by the Japanese government. The intense autumn colors take everything to the next level, leaving visitors completely speechless. 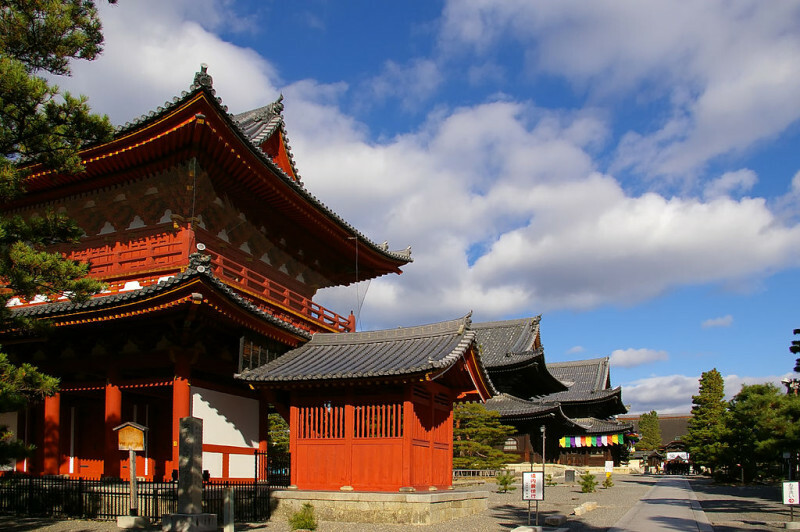 Kodaiji Temple is located in the Higashiyama area, a district that goes along Kyoto’s eastern mountains. The temple garden is special because the combined effort of two famous Japanese garden designers: Kobori Enshu, who worked on the general landscape and Sen no Rikyu, the creator of the tea ceremony, who designed the tea houses. The garden also houses a beautiful bamboo grove which is perfect for a quiet walk. Special trees illuminations are held in spring and autumn. Located in the Arashiyama area, Adashino Nembutsuji Temple stands on the top of a hill, offering nice views of the city below. From the Heian period (794-1185) to the Edo period (1603-1868) bodies of the dead were brought to this hill and simply left behind without proper burial. The temple celebrated the lives of those people and has over 8000 small statues in their memory. Each year, a ceremony for the dead is held, during which thousands of candles are lit. 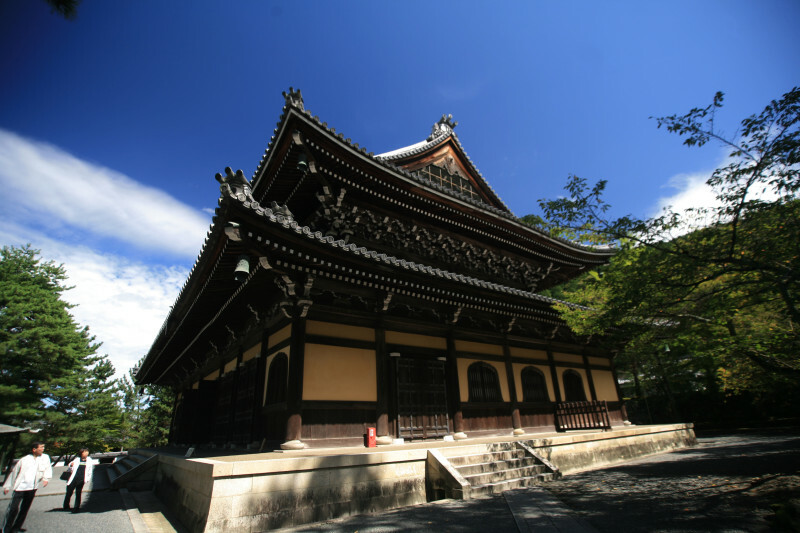 Nishi Honhanji is an urban temple, one of the two big temple complexes of Jodo Shinshu, a school of Pure Land Buddhism. It is the headquarter of the school’s branch. One of its gates, named Karamon, is designated as National Treasure of Japan The temple also contains many valuable artifacts like statues, Buddhist images and carvings. Other treasures include: two Noh stages and the Hiunkaku Pavilion. 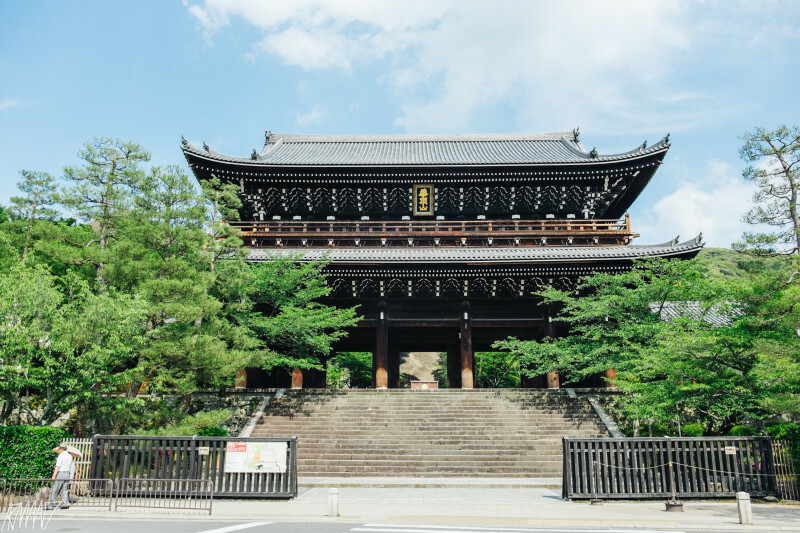 Although it’s not surrounded by nature like other famous temples in Kyoto, it is still worth visiting for its historical and architectural value. 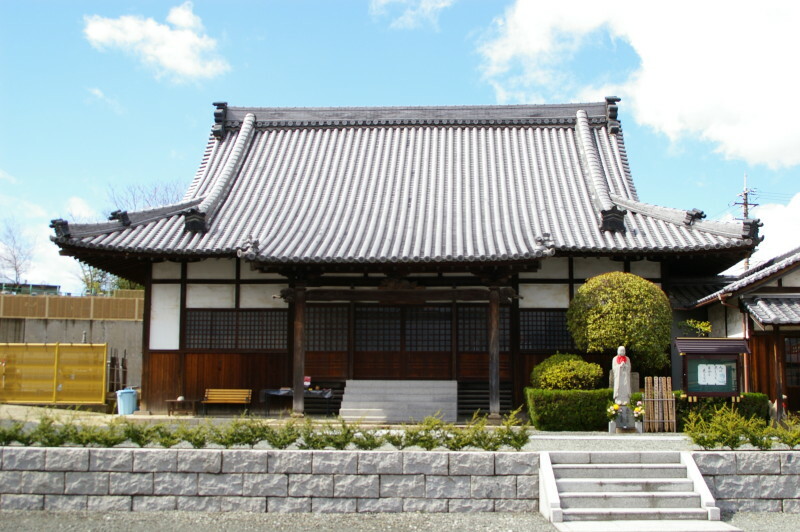 Higashi Honganji is the second complex of Jodo Shinshu school. The temple was destroyed in repeated fires, the current buildings dating from 1895. Fifty ropes made from human hair donated by women can be observed inside the temple. Higashi Honganji a small urban oasis with a small Japanese garden nearby that is open to the public. The garden includes a beautiful pond and displays amazing colors during autumn. There are also a variety of seasonal flowers that can be observed in the garden.